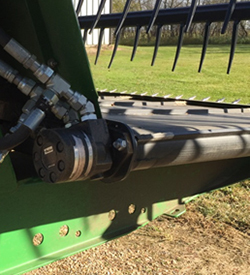 In 30 minutes or less, you can switch from a rotary head to a 500D Draper head, which means you can harvest small grains and hay with one traction unit. Quick-change reel teeth can be removed and replaced with minimal effort and tools. Then it’s back to cutting. Fully integrated controls to the draper means no need for a secondary control box. 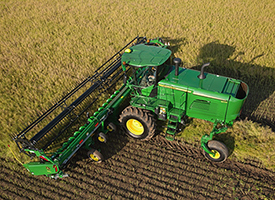 The 500D Series includes an improved reel increasing durability in heavy crop conditions. If reel teeth need to be replaced, it can be done quickly. Easy reel tooth replacement with one-quarter turn of a wrench means up to 20 percent improvement in the time it takes to replace reel teeth. If one does break, a ninety degree turn will allow the reel tooth to be removed. Additional teeth can be added at any location along the extruded tooth bar. 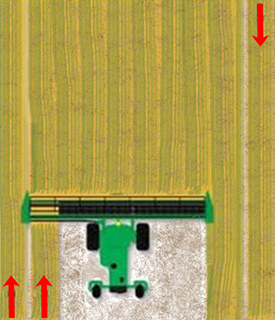 A double swath package (hydraulic deck shift) is available as an option for the 525D, 530D, and 536D Draper Platforms. Double swath is controlled from the cab using hydraulics and two shifting decks. 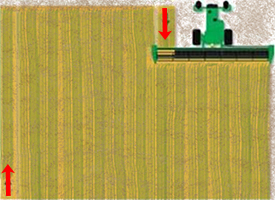 Operators can choose right, left, or center delivery of the windrow. The double swath package is a valuable asset for producers who want to combine the two windrows into one to match up with the material handling capacity of larger combines and self-propelled forage harvesters (SPFHs). 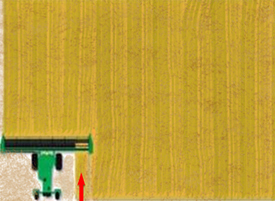 Additionally, the package gives the ability to discharge crop to the outside on the headland to prevent running over the windrow while cutting the rest of the field. The first and second passes with the discharge to the right of the windrower. The third pass with the discharge to the left of the windrower. When the operator wants to switch back to center delivery, it can be completed with the touch of a button using the controls inside the cab. The draper hydraulic pump control maintains knife, belt, and reel speeds regardless of engine rpm changes. 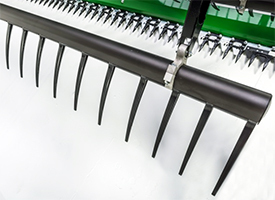 This means uniform cut quality and windrow formation regardless of terrain or engine load. Also, less crop loss or shatter. 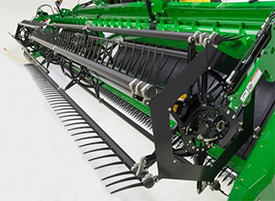 The 500D Draper Platforms feature center belt drives. 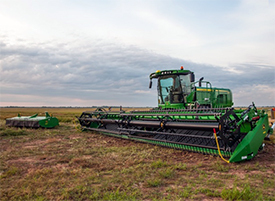 Center belt drives deliver increased torque enabling greater productivity with minimal belt slippage and increased performance in heavy crop conditions. The draper belts on the 500D are driven from the center of the platform. 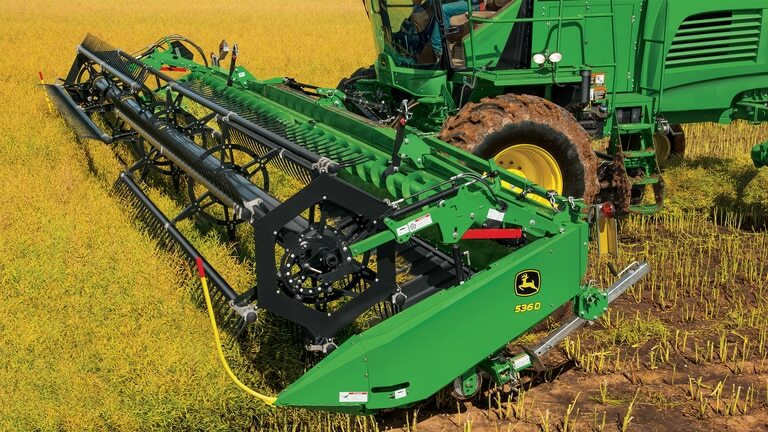 This delivers increased belt performance compared to drapers with end-driven belts. Due to the motors pulling the belt (instead of pushing in an end drive system), there is less slack in the belt. This delivers an increase in belt torque. As a result, producers will experience minimal belt slippage and increased performance in heavy crop conditions due to the center-driven belt system. 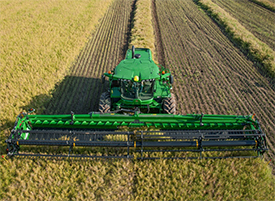 When dealing with multiple crops, the 500D Draper Platform and John Deere rotary platforms are quickly interchangeable on W235 or W260 Traction Units. These platforms can be interchanged in 30 minutes or less. 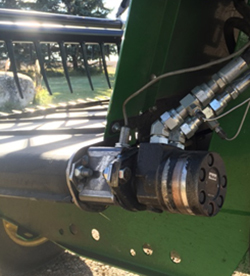 This means customers can use one traction unit for harvesting both small grains and hay.